Years of experience and our office in Dubai enable us to provide comprehensive consulting, innovative and targeted conception and to realize your event at the highest standard – from operative implementation to success control, in the Gulf region and worldwide. We have been implementing brand experiences in the United Arab Emirates since 2010 and can provide not only extensive experience and local expertise, but also access to proven networks of partners and service providers in the region. In our home market of Germany, we are one of the top event management companies and in Dubai too, all of our projects are carried out according to European quality standards. The EAST END group has approximately 55 employees. 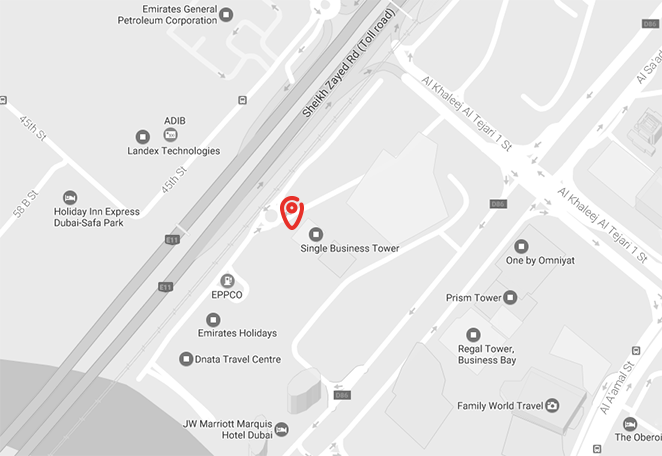 Via the nearby exit Business Bay to Sheikh Zayed Road or by foot from the Business Bay metro station. We are also happy to take care of reserving customer parking directly in the Single Business Towers’ parking garage. We look forward to your visit in Dubai. surroundings for an event company in Dubai. be seen from the promenade. the most luxurious and exclusive suites in the world. The Palm is one of the man-made islands shaped like a palm. area, make it one of the city’s attractions. from 11 meters at its mouth up to 1,400 meters. accessible by boat or helicopter.